The new 2009 Toyota Corolla will take some time trickling into dealer lots. 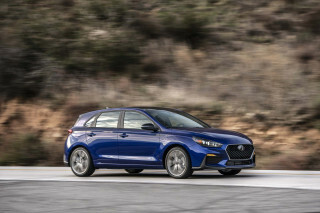 The base cars will be better bargains from the get-go, but manual-transmission XRS models might not be the hit that Toyota hopes, since the Corolla nameplate is more about transportation than entertainment. TheCarConnection.com's editors strongly recommend the XRS if you have to have a Corolla, but be ready for a price tag that's more than that of some true mid-size imports or even the Ford Fusion's. 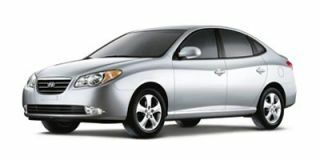 The 2009 Toyota Corolla has a split personality: the utilitarian base car and the slightly edgy, expensive Corolla XRS. 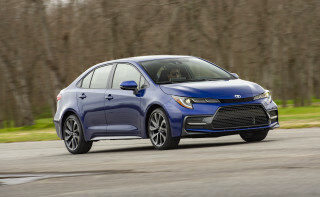 The car experts at TheCarConnection.com studied the latest road tests of the new 2009 Toyota Corolla to write this conclusive review. TheCarConnection.com's editors also drove the 2009 Toyota Corolla to give you more details about the car, to compare it with other cars in the class, and to help you make the right decision. The tale of the 2009 Toyota Corolla is almost the tale of two cars: There's the base edition, which doesn't do as good a job keeping up with the latest Honda Civic in performance or styling, and the sporty Corolla XRS, which has better power and handling but also a price tag that trips over some mid-size cars. The base 2009 Toyota Corolla and the better-equipped LE and XLE editions come with a standard 1.8-liter four-cylinder engine that puts out 132 horsepower and 128 pound-feet of torque. That's less than the Honda Civic and the Chevrolet Cobalt. With a five-speed manual or a not-so-advanced four-speed automatic, the Corolla manages good 27/35 mpg fuel economy, versus the Civic's 26/34 mpg, but acceleration is tepid. The upmarket XRS edition, meanwhile, gets a 158-horsepower, 2.4-liter four-cylinder engine. It's a freer-revving powerplant that pushes the Corolla through a five-speed manual or a more modern five-speed automatic. With the manual gearbox, the Corolla XRS musters 0-60 mph acceleration times in the mid-8 second range--not class-leading performance, but pleasant enough through the snicky gearshift and the nicely mechanical engine note. The Corolla XRS's fuel economy does suffer, though, at 22/30 mpg. The new 2009 Corolla is far more attractive than the near-invisible car it replaces, but still dull-looking. It sits on the same wheelbase as before, but is slightly longer and nearly three inches wider. Thus, it has more room across the front seats--but less room across in back, where two adults will fit fine for short trips, but three adults will be seriously unhappy. 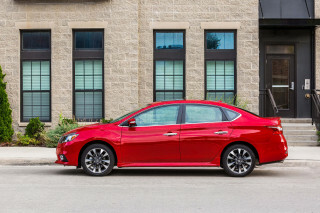 The cabin on the base car looks cheap, but moving up to the LE adds features such as power windows, while the XLE gets wood grain trim, and the XRS adds some leather trim and nicely shaped sports seats. An independent suspension keeps the base Corolla moving along fine for a commuter car, but Honda seems to weave more handling magic in even the base Civic. Moving up to the Corolla XRS adds rear disc brakes and tighter feel, but the electric power steering is still too light and vague. There's plenty of tire squeal in the base cars, but the XRS seems far happier and more buttoned-down in cornering. Safety equipment on even the base Corolla is extensive. Anti-lock brakes are standard, as are tire-pressure monitors. Active headrests and front, side, and curtain airbags also come with every 2009 Toyota Corolla, but only the XRS has standard stability control. Air conditioning, a tilt/telescoping steering wheel, and a CD player are standard on all 2009 Corollas. Options include a navigation system and XM Satellite Radio, rare features in this class. 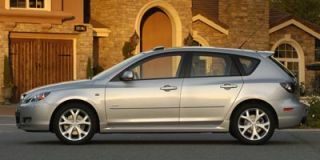 The 2009 Toyota Corolla certainly isn't the most stylish vehicle in the world, but the XRS looks sporty enough, and the interior is uncluttered, if unremarkable. The Toyota Corolla has always been arguably the most conservatively styled vehicle from a brand known for, among other things, its conservative styling. For 2009, however, the designers in Japan have breathed a little life into the Corolla Toyota. Exterior styling varies somewhat across the lineup on the 2009 Toyota Corolla. ConsumerGuide notes that the "Corolla offers five trim levels for 2008 vs. three for 2008," and visual appeal ranges from virtually non-existent up to surprisingly sporty on the Corolla Toyota. Of the five trim levels on the 2009 Toyota Corolla, which Edmunds lists as "base, LE, S, XLE and XRS," the XRS is by far the most noticeable on the road. Autoblog calls the 2009 Corolla XRS "one of the handsomest pieces of sheetmetal in Toyota's U.S. lineup," featuring "speedy-looking bodywork." All versions of the 2009 Toyota Corolla include what Kelley Blue Book calls "a trio of character lines" running from front to back, as well as a "low front air intake" that helps add "visual width below the Toyota signature mesh grill." Motor Trend finds that the new Toyota Corolla is "a longer, lower, wider" car than the outgoing model, which helps improve the car's appearance. Reviews read by TheCarConnection.com found the interior of the 2009 Toyota Corolla to be designed for functionality and ease of use above all else. Cars.com writes that the "cabin seems affably tidy," and finds most everything about the interior of the Toyota Corolla "tailored for straightforward usability." However, this usability detracts from overall styling, which ConsumerGuide feels is "a noticeable step backwards from the previous-generation Corolla." Overall, Autoblog appreciates the "intuitive ergonomics" of the interior, but notes that "everyone, even domestics, have stepped up their interiors lately," which causes the Corolla to pale somewhat when compared to competitors. The 2009 Toyota Corolla won't ever be confused with a sports sedan, and to get more exciting performance from the XRS, you have to sacrifice significant fuel economy numbers. For 2009, the Toyota Corolla features two engine options, as well as several different transmissions that deliver acceptable driving performance and solid fuel economy. Powering every version of the 2009 Toyota Corolla, with the exception of the XRS, is Toyota's 1.8-liter four-cylinder engine, which Car and Driver points out "has 132 horsepower, up from 126" on last year's Corolla. Edmunds finds that this powerplant "delivers respectable acceleration in normal traffic situations." All four lower-end models of the Corolla Toyota offer one of two transmissions, which Motor Trend lists as either a "four-speed automatic" or a "five-speed manual." The 2009 Toyota Corolla XRS, which Car and Driver says boasts "the Scion xB's 158-hp, 2.4-liter four cylinder engine," is offered in either the five-speed manual or five-speed automatic. Kelley Blue Book writes that on every 2009 Toyota Corolla except the XRS, "performance is adequate with the five-speed manual, less so with the automatic." Reviews read by TheCarConnection.com appreciated the Toyota Corolla XRS's additional power, which ConsumerGuide says is "more than adequate...with the manual transmission." For the 2009 Toyota Corolla, Edmunds claims that the EPA estimates fuel economy for the 1.8-liter engine to be "27 mpg city and 35 mpg highway" regardless of the transmission. 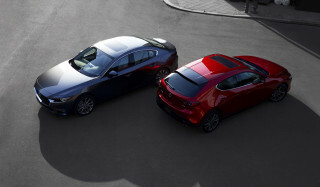 The 2.4-liter engine suffers a drop in efficiency, posting EPA estimates of 22 mpg city and 30 mpg highway. Driving impressions of the Toyota Corolla varied depending on the type of driving involved. Edmunds notes that the Corolla Toyota "excels as a commuter car" with its "comfortable, controlled ride." More spirited driving yields disappointing results, with ConsumerGuide describing the XRS as unlikely to "excite enthusiast drivers," while "other models suffer copious noseplow in fast corners and react sluggishly to rapid turns of the wheel." Earning positive reviews were the brakes on the Toyota Corolla, which Kelley Blue Book feels are "strong and fade-free," although handling is "not up to some of the best of the competition." 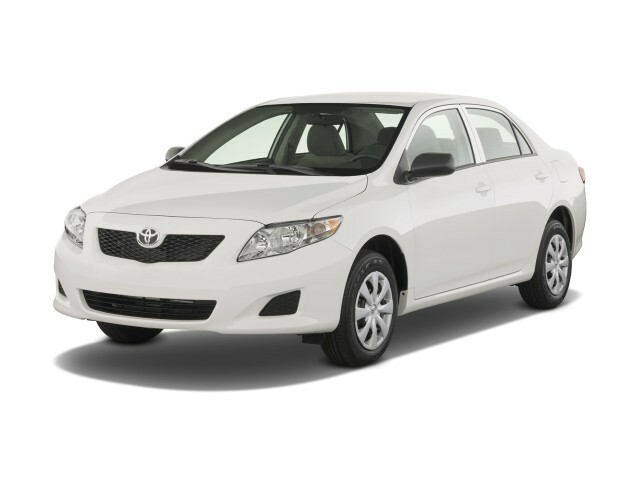 The 2009 Toyota Corolla comes from a very reliable family and, for the price, features very high materials and build quality with decent levels of comfort. Toyota has built its brand around high-quality and supremely reliable cars, and the 2009 Toyota Corolla is, for the most part, no exception. The five passengers that the Toyota Corolla accommodates will find themselves riding in a car that offers respectable comfort levels and storage space. ConsumerGuide feels that, up front, "the seats are generally comfortable," and the back features "good legroom and foot space." Edmunds refers to the back of the 2009 Toyota Corolla as having "plenty of space for children and just enough room for adults." When it comes to passenger room in the Toyota Corolla, Kelley Blue Book says that "leg room is increased a half-inch in front and nearly an inch in back, though front head room is down a half-inch" versus last year's model. 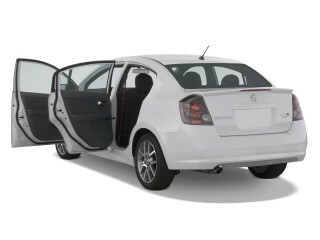 Finding storage space in the 2009 Toyota Corolla shouldn't be too hard, especially inside the cabin. Edmunds feels that "storage is more than ample up front, particularly with the addition of a double glovebox, though the provisions are a bit stingy in back." The Corolla's trunk is a different story, with ConsumerGuide finding that "trunk volume is less than in most compact sedans," thanks to a "tall bumper lip, small opening, and intrusive lid hinges." The 2009 Toyota Corolla offers high crash test ratings and a strong list of safety features. When it comes to safety, the 2009 Toyota Corolla should inspire confidence with both its crash test ratings and its available safety features. During independent crash tests, the Toyota Corolla scored very well in a multitude of impacts. The National Highway Traffic Safety Administration (NHTSA), the federal government's testing agency, gives the Toyota Corolla four out of five stars for most impacts, and a full five stars for front side impacts. The private Insurance Institute for Highway Safety (IIHS) also gives the Corolla Toyota its highest rating, "good," for the frontal offset impact test, which is the only one it has conducted so far. Aside from commendable engineering, there are a number of safety features that work together to improve occupant protection on the Corolla Toyota. Autoblog writes that the 2009 Toyota Corolla has "airbags left, right, center, and curtain," along with "seatbelt pretensioners" and "active head restraints." Edmunds adds that "stability control is standard on the XRS and optional on other Corollas" and notes that "only the XRS has four-wheel disc brakes; other Corollas have rear drums." Cars.com says that "traction control and an electronic stability system" are optional on every 2009 Toyota Corolla except the XRS, which comes standard with the systems, and adds that "the option is well worth the price." One important aspect of driving safety is outward visibility, and on the Toyota Corolla “outward visibility is good,” according to ConsumerGuide. Other reviewers agree, and the Toyota Corolla scores well in terms of driver visibility. The 2009 Toyota Corolla comes with a large list of features, notably the optional moonroof and navigation system, but they can be a bit pricey. Any time a car comes in five different trim levels, as the 2009 Toyota Corolla does, one would expect a large variety of standard and available features, and the Toyota Corolla delivers on most counts. The 2009 Toyota Corolla offers a respectable list of options on the most basic versions, with Cars.com listing standard features as "air conditioning, power mirrors and a CD stereo with an auxiliary jack." Moving up the trim list on the Corolla Toyota, Edmunds finds that "the LE gains power windows and locks," while the XLE version of the 2009 Toyota Corolla adds "electroluminescent gauges, keyless entry and variable intermittent wipers." Finally, they add that the top-end Toyota Corolla XRS includes "chrome interior trim" and standard cruise control. Additional available options for "all Corollas except the base model are available with the optional moonroof," according to Kelley Blue Book, and "XLE buyers can specify JBL audio and navigation" for their Corolla. Toyota’s latest effort, Cars.com feels, "doesn't boast quite as much value for the money as some of its competitors do." One of the best Corollas I have owned in the past 10 years. 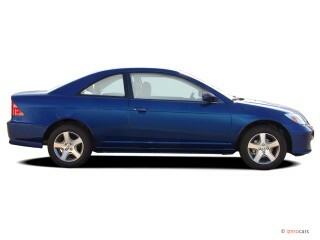 i love my toyota corolla, she is reliable all the time, the as long as i keep my oil change she runs good. this car was ok for normal user. everything is fine.maybe the power can be more powerful.